Shrink Rap: Hey, What are YOU Doing Here? Sarebear tells us she went to see a new psychiatrist and was surprised when the evaluation was begun by an Energy Healer and the psychiatrist joined at the end of the 90 minute evaluation. See her post, Psychiatry Bait and Switch. So what's the standard here for psychiatric evaluations? Is there one? Actually, yes, and here it is: Practice Guidelines for the Psychiatric Evaluation of Adults. So let me tell you what my experience is of the standards, and we'll come back to the guidelines. Who does the evaluation, in my experience, is determined in part by the setting. In every private practice setting I've seen, a psychiatrist does the evaluation--- who you schedule with is who you see. I believe that even in private settings, if you're having neuropsychological testing, you may get a more junior person who administers some of the tests. But in terms of psychiatric evaluations--- usually the shrink. Sarebare notes that psych evals are 90 minute events. I spend 120 minutes on them (and oh, I still run over, I gotta work on that)...but for many, many docs, they are 50 minute exams--- it's just logistically much easier on the scheduling, and if you're going to be seeing someone on an on-going basis, it's not that urgent that you get every piece of information on that first day (or you can send out detailed forms to collect info---see my post Please Print Legibly....) . In the Emergency Room of community hospitals, psychiatric evaluations are done by social workers who present the information to a psychiatrist who may or may not see the patient (granted, these are emergency issues only and do not constitute full psychiatric exams for the purpose of on-going treatment). On an in-patient unit, information may be gathered by many people---the nurse, the resident, the attending, the medical student, over and over again until the poor patient is exhausted! In clinics, it's often the case that a social worker does an intake interview and then a psychiatrist sees the patient. The evaluation team may or may not be the treatment team; at the clinic where I work, one doctor does the evaluation and dictates a long (pages) note, but the patient is then assigned to another psychiatrist for on-going treatment. This was not my idea. 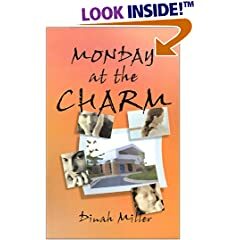 In one clinic where I worked, the standard was to have a psychiatrist assigned to "coverage" for each hour and the covering doc was grabbed to do any needed psychiatric evaluations or see any patient who was due for a 90 day review (or med check)-- there was no consistency to care and bless the medical director who changed this and gave every doc a caseload and every patient a doc. In many settings, it has become commonplace for the care of psychiatric patients to draw on the expertise of multidisciplinary teams. In the evaluation phase of care, other members of the clinical team (e.g., nurses, psychologists, occupational therapists, social workers, case managers, peer counselors, chaplains) may gather data or perform discipline-specific assessments. The psychiatrist responsible for the patient's care reviews and integrates these assessments into the psychiatric evaluation of the patient and works with other members of the multidisciplinary team in developing and implementing a plan of care. Nothing at all, not a single word, about Energy Healers, but I'm not sure that a peer counselor would have more training, so I don't know what to say. Here in the Mid-Atlantic, we're not much for Energy Healers, though I did recently have my home sealed and insulated and my energy bills have been remarkably lower. Does this count? Sarebear, I hope it works out. And now a word on Shrink Rap logistics. I am going on Vacation ! (am I happy: yes. have I begun to pack: no). Clink and Roy have not been blogging much lately, so I don't know if they will hold up the blog or not. I'm hoping Roy will take a look at proposed changes for DSM5 and write a blog post on these. Please bother him about this. And Clink has adopted podcast editing when she's not hanging off some precipice, so maybe she'll post another podcast....Dr. Barta was kind enough to stay and chat with us even when we stopped talking about telepsychiatry and brains. Finally, we had the odd realization this past week that while our book (Off the Couch, Behind the Couch, Under the Couch?) is due at the end of June, that version has to be finished with review, so the actual finished draft is due in April. Always a fun thing to learn as I'm headed off on vacation. Fortunately, we're in good shape for this, and the first 8 Chapters got a very enthusiastic review. So all good energy at Shrink Rap, but blogging may be a little slow. Please stick with us and check back often! whoa! I'm all for energy healing, but that seems deceitful! If you pay for psychiatry, that's what you expect to receive. And if the patient wanted to talk to an energy healer, he probably would have called one, no? Thanks for the post, Dinah! And yeah, it seemed so to me, too, esp. since I'd just forked out $150, for an appt. that was scheduled with the psychiatrist. I'd previously spent over 3 hours on a previous day there filling out the most thorough New Patient Information packet I'd ever seen, and that was WITH having already written out my psych meds history, already. They would not schedule the initial appointment with the psychiatrist without having this packet filled out. They also did not tell me that all these forms were available on their website, although I wonder if that might be because the "new-agey" aspect of their practice might potentially scare some people off, and so they didn't want to do that . . . of course, if so, why have them available there, then?? I had actually been told that the initial appointment might take from 90 mins to two hours, but since my two previous psychiatrists had said 90 minutes, I used that as the baseline. This is a really conservative area, although only 50% of the population is the one religion, despite the perception that Utah is "all Mormon". So I'd say the same thing about this area that Dinah says about her region, lol, although I'd say for those who are into it, it's great that it's available for them. I expected an appointment with a psychiatrist, and was extremely startled with what I got, especially for the price. Have a great vacation, Dinah! These stories make me mad. This is as much about ethics as standard of care. The AMA ethics code, Section 2 states: "A physician... shall be honest in all professional interactions..."
7) "An arrangement in which a psychiatrist provides supervision or administration to other physicians or nonmedical persons for a percentage of their fees or gross income is not acceptable; this would constitute fee splitting." 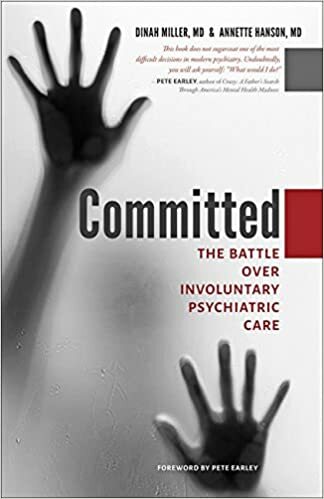 2) "... the psychiatrist should ensure that the allied professional or paraprofessional with whom he or she is dealing is a recognized member of his or her own discipline and is competent to carry out the therapeutic task required." 3) "It is contrary to the interests of the patient and to patient care if the psychiatrist allows himself/herself to be used as a figurehead." This would be an excellent case for the ethics committee of the Utah psychiatric association to look at. While it's certainly not mandatory, and I've never been "farmed out," I live in Maryland and my psychiatrist's practice actually does include energy healing. I agree w/MovieDoc--stories like this make me angry and are an embarrassment to the psychiatric profession. Psychiatrists and those who suffer from mental illness already have enough stigma to deal with as it is. Stuff like this makes psychiatrists look dishonest and like quacks. If you believe in energy healing and want to see one, that's fine. I don't judge those who find it helpful. But, it is not related to psychiatry, and in this case was not what the patient thought she was paying for. I'd estimate that I could count on one hand how many times in my career I've had someone else start seeing a patient for me. And, those were emergency/crisis situations where it was the only way to provide services to the person. And the one who started obtaining the history was some type of mental health professional (not an energy healer). Otherwise I think it's crucial that the psychiatrist obtains the history himself/herself--an initial psychiatric appointment is supposed to be about more than obtaining information. It's about establishing a working relationship, a therapeutic alliance--establishing trust, doctor getting to know patient, patient getting to know doctor (professionally). Psychiatrists are not dentists, and except for rare emergencies, it's not appropriate for us to swoop in at the end of initial evals (especially routine ones scheduled in an office)for few minutes. Ah well, biological psychiatry is a hoax so why not to go an energy healer.. what ever the heck that is. I'd be pissed if that happened to me. When I've prepared for the horrors of seeing a pdoc I expect to see one. I did wonder about the ethics side of it, since the appointment had always been represented to me as being with the psychiatrist herself, in every interaction I had had with the office staff, especially considering that they would NOT make the initial appointment until I had filled out the new info packet (they asked, are you going to fill all that out HERE? as in, they knew it would take awhile, wondering by implication if maybe I'd be better off going home to fill it out, but I wanted to just get it done with, although I didn't know it would take me as long as it did to fill out). And then given that, since I had made sure that pre-authorization wasn't necessary (it is for mental health therapy, but not for seeing psychiatrists for medication purposes, since they are M.D. 's . . . .), and what I just said in the parentheses there, that my insurance company and the state board of insurance would likely have a problem with the matter as well, possibly. Since the person who conducted the interview isn't any kind of a licensed mental health professional at all, let alone not the M.D. psychiatrist that I was told I was making the appointment with, but on that last since it is acceptable practice to sometimes "farm out" the interview to a different mental health professional . . . not that that's what happened in my case. So I likely have valid reason to complain to a state agency or two, but I really would rather not, unless she grossly misconducts herself in other aspects. I did feel a connection with her, but the jury's definitely waaaay out, still, because of some things I mention in my post. In a hard to find psychiatrist market like mine, though, I really would like to hope that this one will work out, despite this . . . . odd, inauspicious and unfortunate beginning to the relationship. Meg, it seems that there is a . . . culture of people who look to alternative forms of holistic medicine and alternative forms of healing such as energy healing, and there are people with traditional medical degrees who have an open mind to such things and enjoy setting up in group practice with them; it seems you go to such a practice and that I have stumbled across such a one myself. There is also a massage therapist at mine who does Bodywork, in conjunction with a certain kind of mental health therapy; it's an alternative kind of therapy I'd heard of but know that is not for me, either. There's also a Dojo associated with the practice, and a martial arts instructor, which I found interesting. The other psychiatrist there, has a subspecialty in something called Shamanic and Karmic Healing, which is WAYYYYY beyond anything I'd ever want to explore. THAT is definitely far outside my comfort zone, lol. DEFINITELY not my cup of tea . . . . . it's not his only sub-specialty, nor does he not do normal stuff, but . . . Speaking of tea, they have a Hot Tea bar, and if you arrive a little early for your appointment, you are welcome to make yourself a cup, from the hot/cold water dispenser (steaming hot water) and the variety of teas, only one was a naturally caffeine free herbal one, the only kind I can drink for religious reasons, and sugars/sugar substitutes . . . . There are several LCSW's at the practice, one of whom specializes in Substance Abuse treatment. There's also a couple of PC's. Somebody at the practice specializes in Art Therapy, and I saw a room where this is done, it looks like. Not sure if they do that mostly with kids, but it was neat to see something like that, that I can understand more easily, anyway. I do think it is cool, though, that my new psychiatrist volunteers on her own time, unpaid, one day a month, or is it two, to be the facilitator for an AD(H)D group for adults with it. It's on her own time after work hours, and there is no fee for the group, so she doesn't get paid for it. The other psychiatrist there does the same thing, for a trauma group, unpaid/no fee, BUT, due to the nature of the group, you've got to be vetted before joining it, understandably. So these things speak to good character, aside from my feeling a bit cheated and having a wierd woman forced upon me whom I wouldn't have trusted even had she not been an energy healer, just her type, and just the feeling of being misled, etc. Don't underestimate the power of the placebo effect. But I have to say, this treatment is only for the credulous. I'd put it alongside such useful tools in the psychiatric profession as reading goat entrails. If it works, if it can be shown to be effective in double-blind trials, I don't care if the theory is, um, hogwash. Much of psychiatric theory is. Jung's, Rogers' and Freud's theories are all to some extent contradictory after all. A lot is superstition, and not evidence-based. This puts a huge burden on psychs, to internalise many clues, mostly subconscious, in observing patients, and correlating that with experience - often life experience rather than medical training. Please tell me my insurance company isn't paying for assessments by energy healers. Wow! A lot of red flags are there, IMO. I would think, Sarebear, that you would have been in your legal rights to not pay for those services initially, as they did not seem to have been well described up front, and certainly did not constitute what would be common-place, standard practice. I feel that the most important part of the therapeutic relationship, is the overall "fit" between the therapist and patient. If someone doesn't feel that their therapy is a good fit for them, they should consider moving on. Two UK blogs have posted my story, I'm across the pond! The links are in the bottom of the comments thread on the bait-and-switch post on my blog. I'm up late and I'm lazy, lol.